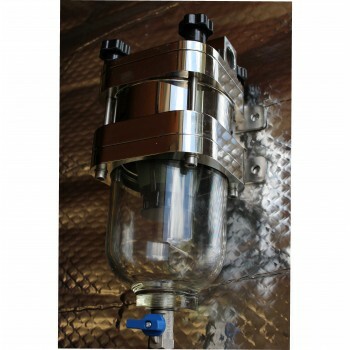 The Diesel Decontaminator is a simple one step unit that will remove up to 95% of solid contaminants (down to approx. 30 microns) and 99.9% visible water, including emulsified water that may be in the fuel. Using an entirely new unique filter design, this system will ensure a perfect solution to the problem of water and particulate contamination in fuel. 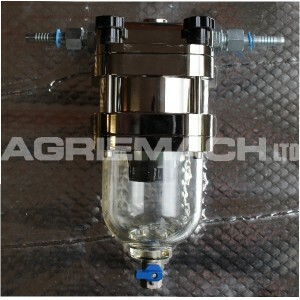 No replacement filter elements are required as the unique filter is completely re-useable and only requires cleaning when flow is reduced due to particulate contaminants. 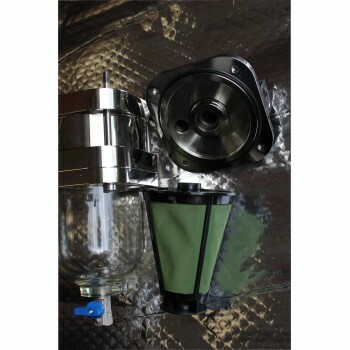 A second filter is available for applications that insist on immediate replacement while cleaning is in progress. 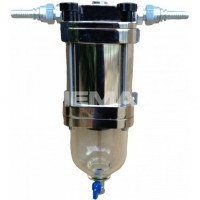 Each system is fitted with a water drain valve for ease of draining and no tools are required for maintenance of the filter. 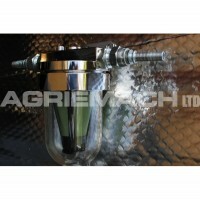 Simple, Reliable and the most cost effective addition to any diesel engine fuel system. For further details please call our offices (+44 0 1342 713743) or send us an enquiry using the link above.